She was only six when she passed. This year March is also the celebration of the first year that the elementary school we opened to honor her legacy will be open. The journey from grief to positive action has not been an easy one, definitely not a straight path, but one that looks more like scribble marks across a page, both in the business journey and the emotional one. Let me share my journey and some ideas on how to use events in life to live with greater purpose and, hopefully, happiness. When my daughter passed, my entire being changed. I had literally lost a piece of myself: a part of myself had died. My brain changed: I couldn’t remember things, I had no motivation. My physical body changed: I couldn’t exercise; old injuries became inflamed; I was physically and mentally broken. I now liken the experience of losing a child to a brain injury: part of me was injured and changed that day and will never be the same. I wanted to cover my head, hide in my bed, and eat brownies for breakfast. Which I did some days, but those actions didn’t make me feel better; they weren’t productive to anyone around me and felt selfish. These things weren’t helping me to heal; they weren’t healing activities or healing foods. I couldn’t just “move on;” I wasn’t going to “get over it,” and nothing would ever be normal again. But in grief, we really have only two choices: let it consume us and stay in bed eating brownies all day, or do something positive. The first thing we did as a family was to really look at what Eliza’s life meant to us. My daughter taught us so many things but we boiled these down to three main lessons: be kind, be strong, and always do your best. Eliza with her classmates. She taught others to always do their best. Eliza had cerebral palsy. That meant that kindness and gentleness were necessary from everyone to help her succeed and be her best. She was the strongest kid I’ve ever met. She wouldn’t give up. She struggled, she kept trying, and she would succeed. She was strong mentally as she was building her physical strength. She always tried her best: she would be in therapy, exhausted, and give her all for one more rep. She would work with her project groups at school and calmly settle disagreements. She would work hard to do the things that were difficult for her. In looking back at those you’ve lost, it’s important to understand how your life has been impacted, what would be different if you had never met. Take those traits, lessons, and understanding, and make them the values for your journey going forward. We had already begun the process of establishing the school when Eliza passed. Deciding to move forward with opening it was a pretty quick decision. But for most people, deciding to open a business when losing a loved one is too much. It might be a thought, or even a plan for the future, but not something to embark on immediately. There are many ways to honor a life. You might, for instance, raise money for a charity, or serve as a volunteer doing work your loved one believed in. Or you might take it a step further and look for an organization that holds the same values your loved one taught, and work on their behalf. Find activities or organizations that align with the values and lessons you’ve identified, then commit to continuing in this work. Doing something positive will honor your lost loved one and will add purpose to your life. Most importantly, give yourself time, space, and patience. Our organization was founded in 2015, but when my daughter passed in 2016, I took a full year off to put myself back together again. I couldn’t function, I couldn’t concentrate. I wasn’t motivated, I couldn’t work. I was lucky to feed my family each night. It took me a year and I still have days where I can’t work and can’t find motivation. Tonight, for instance, my family had snacks for dinner. I couldn’t find the motivation to prepare a meal. The Sheckley Family today. Some days are better than others. I remind myself that it’s not me. I’m not lazy, and it’s okay to not be okay some days. For me, grief looks like lack of motivation and feels like my head is swimming in cotton. For others, grief may be angry outbursts; random or not so random crying; an inability to pay attention and connect to others; or so many other things. What’s important is that the feelings are recognized, blame is not placed, but instead feelings are understood and given the space and the time they need to heal. Each person is different and each will heal to their own extent in their own time. Identifying values, honoring life, and finding a purpose has helped me to accept the grief I live with. As time goes by, the days of deeper grief are farther apart, but still present. Especially in March. Author Darian CarrowPosted on 11/14/2018 11/11/2018 Categories Health/Safety, Illness, Nutrition, School Age, UncategorizedLeave a comment on Can Children Get Type 2 Diabetes? Taking your child to the ER can be a nerve-wracking experience. It’s hard to be rational and calm when your child is injured or experiencing frightening symptoms. The first thing to think about is which emergency room to choose. If you live in a city with a choice of emergency rooms, pick an ER you know to be child-friendly. Or call the doctor’s office for advice on the best ER for your child. The ideal time to study up on the right ER for your child is actually before there is an emergency. Ask friends about their children’s ER experiences to get recommendations. At your child’s regular check-up ask your child’s pediatrician for advice on the most child-friendly, area ER. Another way to prepare in advance for emergencies is for parents to keep and maintain a notebook with all the child’s health information. In the notebook, you can list all past and present illnesses, vaccinations, allergies, current medications, and the time of your child’s most recent dose of medicine. These are things the ER staff will want to know. Keep the notebook in your bag so you never lose it and will always have it close at hand, even (and especially) when you’re running out the door to the emergency room. By the same token, always keep your child’s health-insurance card or information in the same space in your wallet. That way you’ll never have to waste precious time searching for the card during an emergency. It will be one less thing to think about. Not sure whether your child should go to the ER at all? It could be a call to the doctor can help you decide. For more on this topic, read When to Take a Child to the ER. Once you decide to go to the ER, be aware that a visit to the emergency room may mean a wait of many hours. Make sure you bring change with you, as cell phones are sometimes banned in hospitals. Change is also handy when you want something from the vending machine. Bring toys or activities, and something to eat and drink (check with hospital staff before offering a child food and drink). Unless your child is three months old or younger, you can feel free to treat a child’s fever before you leave for the ER. It helps the child feel better and can make the wait easier. Bring some more fever-reducing medication along with you to the hospital, in case the wait is many hours long. Your child may need another dose before he is seen. Try not to bring brothers and sisters to the ER. If you can find a sitter or someone to watch your child’s siblings, it’s best not to bring them along to the ER. Your child needs your full attention. Also, why expose children unnecessarily to diseases that are floating around the hospital? As you make your way to the ER, mentally review the facts of your child’s illness or injury, and write them down in your child’s health notebook if your hands are free. That way you’ll be ready to tell the nurse or doctor what has happened and how you’ve treated your child until now. Think back to when your child became ill or injured and make a note of the day and time. If your child has swallowed poison, bring the bottle with you to the ER. Think over the progression of your child’s illness or injury: how has it changed over time? Has your child had a fever or a rash? Has your child gone to the bathroom? How many times a day? What medications, if any, has your child taken? Does your child have any allergies? These are all things the ER staff will want to know. Prepare your child on the way to the ER. Tell the child that a doctor (not the pediatrician he knows) will be examining him. At each step of the ER experience, explain the truth about what will happen next. A clear, honest explanation makes your child less anxious. Anxiety over the unknown worsens pain and fear. Knowing what will happen next, even if it’s going to hurt, relieves that anxiety, and helps your child feel better. On arriving at the ER, ask if your child is allowed to eat and drink. Sometimes you’ll be asked not to give your child food and drink. Some procedures, for instance some CT scans and blood tests, have to be done while fasting. It can be difficult to ignore a child’s pleas to drink and eat, but remember it’s in her own best interests. Reassure her as much as possible. Remember that a long wait is a good sign. It means your child’s condition isn’t so serious that it cannot wait a bit for treatment. Try to be patient and calm. If your child seems to be getting worse, ask that he be reassessed. If your child needs stitches, a shot, or a blood test, ask if numbing cream can be applied to the area, first. The cream takes about 20 minutes to kick in. If your child’s pain medication is wearing off, let the staff know. Remember that you are your child’s advocate, if you don’t speak up, no one else will. Do what you can to comfort your child and ease her fears. Hold her, talk to her. Try to keep her from seeing anything scary, such as a tray of instruments or a bloody patient. Read to your child or play a game like “I Spy” to take her mind off of her pain and fear. Stay by your child’s side as much as possible. Ask if you can stay with your child for procedures like blood tests and x-rays. But if you feel like you’re going to pass out from seeing blood, for instance, make sure you inform the staff. Doctors and nurses seem so busy parents may be afraid to disturb them with their questions. But it’s a parent’s right to ask questions and receive answers. If you want to know why this or that test has been ordered, go ahead and ask. Just be polite. Make sure you understand the discharge instructions. Are you sure you know when the bandage can be taken off? How to clean your child’s wound? Do you know what to do if your child’s symptoms don’t get better or he feels worse? Do you know how to give your child his medication? The hospital often recommends a follow-up visit with the child’s pediatrician. Bring your child’s discharge papers with you to the visit. Even if your child needs no follow up visit, drop off a copy of the child’s discharge papers at the doctor’s office. That way, a record of the visit will be included in your child’s medical history. Should you take your child to the ER, call the doctor, or wait and see? When you’re just not sure, call the doctor. Even if the pediatrician can’t speak with you, someone in the office should be able to advise you. And if you do need to take your child to the ER, the doctor’s office can call ahead and let them know you’re on the way. That’s a plus. But let’s back up a bit to the original question: ER or pediatrician? It’s a dilemma just about every parent wrestles with at one point or another. And it’s so hard to think straight when your child is injured or ill. Even when you’re frightened and anxious, sometimes you can figure things out on your own. That is if you can calm down enough to do a proper assessment of your child’s condition. To help calm down, take three deep breaths. Then remember that being calm and in control of your emotions means you’ll be better able to take care of your child. Sometimes making decision of what to do next is easy. If your child is just lying there completely out of it, or has severe injuries, don’t wait. Call 911. Ditto if your child’s lips are turning blue. That’s not only the ER, but a ride in an ambulance, most likely. So pick up the phone and dial 911. But let’s say none of this applies to your child’s condition and it’s the middle of the night. And you know that going to the ER is unpleasant, with a long wait and procedures that might make your child cry. Your child is uncomfortable enough. Do you really need to add to her discomfort? How do you know whether to wait until morning when you can have the doctor decide for you, or whether you need to get moving to the ER now? Lots of viruses cause diarrhea and vomiting in children. When your child gets a bug with these symptoms, you have to worry about dehydration. Dehydration is definitely a reason to visit the ER, even in the middle of the night. But it usually takes about 24 hours of vomiting and diarrhea to cause dehydration. So the first thing you want to consider is how long your child has been vomiting and experiencing diarrhea. If it’s under 24 hours, you can probably wait. If your child’s tummy trouble persists, and she can’t keep down even small amounts of liquid, call the doctor. You should try to get the child to take two teaspoons of fluid every 30 minutes. If your child has almost no saliva, can’t make tears when crying, and isn’t peeing at least twice a day, it’s time to go to the ER. In small infants (newborn to three months), a rectal temperature of over 38C or 100.4F means: go to the ER now. In this case, don’t give your baby medicine to reduce the fever. The ER doctor will want to see the baby as is, without the effects of medication. Babies and children three months and older can be given a dose of acetaminophen or ibuprofen for fever according to the dosage instructions on the bottle. Then wait 30 minutes. If your child looks a lot better, is responding to you, and is drinking fluids, you can continue to treat the child at home. If the child’s symptoms continue, the fever continues past 72 hours, or there’s wheezing, a strange rash, or extreme lethargy, call the doctor. When a child is wheezing or grunting, or her breathing is noisy, fast, or high-pitched, it means your child is having trouble getting air. This can happen when there is a respiratory infection or during an asthma attack. But panting or fast breathing can also occur when kids get fevers. So if your child has a fever, give fever-reducing medication like acetaminophen or ibuprofen and wait 15 minutes. If the fever goes down, and her breathing settles, you can stay home. If your child has a cough so severe that she cannot sleep or eat, or she has a barking cough, call the doctor. If the child has so much trouble breathing that she cannot speak, go to the ER. If the child’s lips are turning blue, call 911. Does your child have a rash? Press on it. The rash should go back to normal skin color for a second or so. If it does, this means your child has a simple virus and will get better in a couple of days. You can stay home. If the rash doesn’t pale when you press on it and your child has a fever, this may mean a more serious illness, for instance meningitis. Call the doctor. If your child has neck pain, finds it hard to move his neck, and also has a fever, go to the ER now. Clean the cut well with soap and water. Put pressure on the cut with a clean towel for 10 minutes and then reassess. If the bleeding is under control, but the cut is deep, call the doctor. A bump on the head isn’t always an emergency. If your child has no dizziness, headaches, or vomiting, you can stay home and the child can return to normal activities. But if your child passes out within a couple hours of bumping his head, call the doctor. Check the child’s head with your hands. If there is a part that seems squishy, go to the ER. If the child can’t stop crying, vomits more than once, or you see blood or fluid coming from the ears or nose, or bruising around the eyes or ears, go to the ER. Remember that your child takes her cue from you. If you remain calm as you assess your child, your child will feel less anxious and find it easier to cope with the fear and pain of illness. Cuddle your child, and do what you can to distract her from her worries and discomfort. Underage drinking can get in the way of the developing brain. And anything that gets in the way of the developing brain, for instance underage drinking, can interfere with academic performance. That means that kids who drink may grow up to be unemployed adults. If they don’t, for instance, get killed while driving under the influence of alcohol. If you managed to follow that train of thought to its logical conclusion, your child can, too. It’s just that most parents haven’t thought to explain it to them, lay it all out on the table. Which is a shame, because doing so may just stop children from taking that first sip of alcohol. That’s the conclusion of a new survey conducted by market research firm GfK on behalf of Ask, Listen, Learn, a program of Responsibility.org. More than 1,000 parents of children ages 10-17 took part in the November, 2017 survey, the results of which are in a report entitled, A Lifetime of Conversations: Kids, Alcohol, and the Developing Brain, issued just ahead of Alcohol Responsibility Month. The report also includes data culled from other research on the topic of underage drinking, along with important advice and perspectives from experts in the field. Stunning details in the new report illustrate both how and when parents are having conversations with their children about underage drinking. This information helps us understand how we have managed to achieve a significant reduction in children’s alcohol consumption in the United States since 1991, when experts first began to track the point at which underage drinking begins. More Parents Are Talking the Talk. The good news is that more parents are talking to their children about drinking alcohol. A majority (76 percent) of parents of children aged 10-17, have in fact, spoken to their children at least once during the past year about underage drinking. That represents an increase of 7 percent since 2003. Parents Wait Too Long to Have the Talk. The report suggests that parents may be choosing to be reactive, rather than proactive in their conversations with their children about underage drinking and alcohol. Half of the parents surveyed wait until their children see something about drinking on television or social media, or until asked about underage drinking, before they begin the conversation about alcohol. They may be waiting too long at that: only 2 in 5 parents spoke to kids aged 10-14, though 23 percent of 8th graders (age 13 or so) have already tasted alcohol. More than half the parents surveyed, 58 percent, or nearly 6 in 10 parents of children age 10-17, say their children won’t be needing to make any sort of decision about alcohol over the next three months. They think their children are too young to discuss drinking. This flies in the face of underage drinking statistics: 23 percent of 8th graders have drunk alcohol and 53 percent think it would be easy to get alcohol. These particular statistics only increase as children get to high school. Parents Think Kids Are Too Young for the Talk. Of parent participants of children aged 10-17 who have not yet spoken to their children about underage drinking, 46 percent say their children are too young to have a talk about drinking alcohol. This figure includes 60 percent of parents with children aged 10-14. Parents Don’t Think About the Impact of Underage Drinking on Living a Healthy Lifestyle. Only 15 percent of the parents surveyed listed avoiding underage drinking as a factor in children living a healthy lifestyle. Parents instead prioritized eating healthy foods, getting enough sleep, and staying away from smoking and drug use, as elements critical to living a healthy lifestyle. Parents Don’t Talk About Underage Drinking and Brain Health. Parents tend to speak to their children only about the immediate consequences of underage drinking, for instance alcohol poisoning or car crashes. Experts believe that parents should instead be discussing the impact of alcohol on brain development and the long-term effects of underage drinking, for example, memory issues and alcohol dependence. When asked to list reasons children shouldn’t drink, 4 out of 10 parents did not list brain health. Experts like Blackman would like to see parents starting the conversation about underage drinking earlier, and they’d like them to continue the conversation as the child matures. Parents should begin the conversation before children are afforded an opportunity to drink alcohol, which means having that first conversation when a child is around 10 years old. By age 14, many children have already been offered a drink. Does this mean that most children have been offered a drink by age 15? “No, not necessarily,” says Deborah Gilboa, MD, family physician and youth development expert, who serves on the Ask, Listen, Learn education advisory board. “In fact, the overwhelming majority of kids this age have not tried alcohol. but as kids transition from middle school to high school, their chances of participating in underage drinking increase. According to data from the National Institute on Drug Abuse’s 2017 Monitoring the Future survey, 23 percent of 8th graders have reported drinking alcohol in their lifetime, which increases to 42 percent in 10th grade and 62 percent in 12th grade. “While there is still work to be done, these numbers have significantly decreased since 1991, partly due to an increase in parent/child conversations around underage drinking. Ideally, parents should discuss the dangers of alcohol, including the impact of alcohol on the developing brain, early and often with their kids, so they truly understand the risks and can feel confident in saying no if approached with an opportunity to drink,” says Gilboa. But some parents aren’t speaking to their children about alcohol at all. One in four parents surveyed said they either didn’t speak to their children about underage drinking, or can’t recall whether or not they had that talk. That’s a shame: children need to know about these things, about alcohol and its effects. Children are open, moreover, to hearing about what underage drinking can do to them, not just in the short-term, but over time. Learning the facts of what alcohol can do to their developing brains, appears to deter them from ever wanting to try alcohol in the first place, according to the experts. The upshot: It’s great that more parents are having conversations about underage drinking with their kids, but experts wish they’d put a different spin on these talks, and speak about brain health as being the most important reason to avoid alcohol. “Create a foundation for these conversations with kids by answering their questions simply and clearly at any age, and actively discuss this topic by age nine or ten. At this time, kids are becoming very curious about their growing bodies and brains and are open to learning about how alcohol can impact both. “Adolescence includes critical phases in brain development. The area of the brain that controls reasoning—helps us think before we act—matures later in the third decade of life. The sooner that parents speak with their children about the dangers of drinking alcohol underage, the better,” says Dr. Gilboa. The Lifetime of Conversations study was conducted online with GfK’s Omnibus, using the web-enabled “KnowledgePanel,” a probability-based tool designed to represent the U.S. general population, not just the online population. The study consisted of 1,000 nationally representative interviews conducted between November 10 and 12, 2017 among adults aged 18+ with at least one child between ages 10 and 17. The margin of error is +/-3 percentage points for the full sample. Type 1 diabetes (T1D) is a disease that is marked by the body’s inability to manufacture insulin. Without insulin, the body cannot process the glucose from the food we eat. The result is that glucose levels rise dangerously high which can lead to a variety of serious health problems. There is currently no cure for run-of-the-mill diabetes with no complications, but the disease can be managed with daily doses of insulin. Type 1 diabetes affects some 450,000 U.S. children. Type 1 diabetes is scary for parents of newly diagnosed children and their parents. The disease is unfortunately, all too common. Each year, some 13,000 children are diagnosed with type 1 diabetes in the United States, alone. There’s no magic wand to wave type 1 diabetes away, but the disease can be controlled and managed, with careful attention. Diabetes affects the way the body uses glucose, which is a type of sugar in the blood. Glucose is a byproduct of the food we eat. Most people use this glucose as the main source of energy to fuel the various functions of the body. After eating a meal, the body breaks down food into nutrients, such as glucose. These nutrients are released into your bloodstream by way of the gastrointestinal tract. This causes the level of glucose in the blood to rise after a meal. In healthy people, this rise in the level of glucose, or blood sugar, tells the pancreas to make a hormone called insulin, and to release this hormone into the bloodstream. In people with type 1 diabetes, however, the body stops making insulin. This makes it impossible for the body to get energy from glucose-producing foods, without help. Since the body can’t use glucose without insulin, glucose remains in the bloodstream, with blood levels of glucose rising higher each time food is eaten. An easy way to understand the role of insulin is to think of it as a key that unlocks the potential of the glucose we get from the food we eat. Insulin unlocks the “doors” of the blood cells, letting the glucose in. When there is no insulin, it’s like not having the key to the door: the glucose can’t enter the cells. That means the glucose remains in the bloodstream, unused. As blood glucose rises, a number of health problems can occur. Type 1 diabetes used to be called juvenile diabetes, or insulin-dependent diabetes. This type of diabetes occurs when the body attacks itself, and the immune system destroys the cells in the pancreas responsible for producing insulin. Once these cells are destroyed, the body has no way of making insulin, ever again. No one knows why this autoimmune response, of the body attacking the pancreatic cells that make insulin, occurs. Scientists think it may be partly genetic, running in families. There is probably at least one more factor that causes type 1 diabetes. It could be a virus or something like a virus that causes the body to attack itself. As it stands, there is no practical way to prevent type 1 diabetes. There is also no way to know in advance who will contract the disease. This means that a child or adult can’t be said to have done something to cause the disease. Once someone has type 1 diabetes, that person will always have type 1 diabetes. The person with type 1 diabetes will need to treat the disease, every day, for his or her entire life. Children, teens, and adults with type 1 diabetes are dependent on daily doses of insulin to control their blood glucose levels. Insulin is given by injection or with a pump. Sometimes the symptoms of type 1 diabetes are subtle. It can take a while for a parent to figure out that a child is sick, which means it can take time for the child to be diagnosed with type 1 diabetes. Type 1 diabetes can develop over time, or all of a sudden. Pees large amounts, often. When the body fails to make insulin, the kidneys try to flush out the excess glucose in the blood by causing the child to urinate (pee) frequently and in larger amounts than usual. Extreme thirst. Because the child is peeing so much and so often, dehydration (loss of body fluids) becomes a problem. The child become very thirsty, to offset the drying effect of all that peeing. The child with type 1 diabetes will seem to constantly want drinks. This is an effort to keep body levels of fluids in balance. Weight loss or lack of weight gain as the child grows. The child eats plenty, but is either losing weight, or not gaining as is normal in a growing child. Children and teenagers who develop type 1 diabetes seem to eat more than usual, yet stay the same or lose weight. This happens because the body can’t access the glucose in the body for fuel. The result is that the body begins to use its fat stores, and even breaks down muscle in its effort to feed its starving cells. Tired much of the time. Since the body can’t access glucose for fuel, the child gets no energy from food, and feels tired. Bedwetting in a child who had been dry at night. A vaginal yeast infection (Candida) in a girl who has not yet reached puberty. The important thing to know about type 1 diabetes is that it can be controlled, and the risk greatly reduced through proper treatment. It’s also easy to diagnose diabetes through a simple blood test that measures the level of glucose in the blood. Children, and especially teens with type 1 diabetes, may need lots of support and encouragement. They don’t like feeling different than their peers and may take risks with treatment. For this reason, researchers are always looking into new and easier ways of administering insulin, such as the insulin pump. If your child’s doctor suspects or makes a diagnosis of type 1 diabetes, your child may be referred to a pediatric endocrinologist. A pediatric endocrinologist is a doctor who is a specialist in childhood diseases having to do with the endocrine system, for instance diabetes. The endocrine system is made up of the glands in the body, such as the pancreas. In type 1 diabetes, the pancreas sustains damage and stops producing insulin. Children and teens can find it painful or demanding to test their blood glucose. Testing blood glucose involves producing a drop of blood to test for glucose by means of a pin prick. Children can feel the same way about insulin injections as a way of replacing the body’s lack of insulin. It’s also awkward for teens and children to treat their disease when their friends are around. It can be a challenge to find privacy for treating type 1 diabetes, and (insensitive) peers might make them feel uncomfortable about their differences. Medical advances have been made to make treatment of type 1 diabetes easier on children and teens. There is now, for instance, the insulin pump, which mimics the natural way the pancreas reacts to glucose in the bloodstream in healthy people. The insulin pump is a portable device that attaches to the body. The pump delivers a continuous amount of short-acting insulin by way of a catheter that is placed under the skin. The device takes the place of multiple injections over the course of the day. The user also has more control over blood glucose levels because the insulin pump can be programmed to give faster or slower rates of insulin at specified times, such as while the user is asleep. The pump is slightly larger than a pack of cards. Another device in the works is the artificial pancreas. 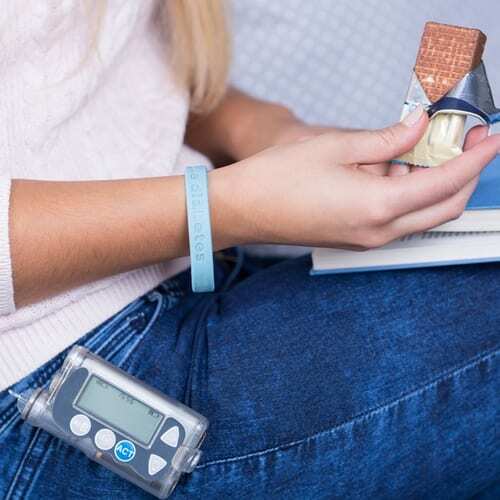 This device will be implanted or wearable and is an insulin pump that is connected to a device that automatically measures the blood glucose levels at all times. Not relevant to most children and teens with type 1 diabetes is the major step of a pancreas transplant. While the transplant can cure diabetes, and remove the need for blood glucose monitoring and treatment, the transplant comes with the potential for a host of problems. In general, a person is only considered for a pancreas transplant when there are complications from diabetes, for instance, kidney damage necessitating dialysis. A pancreas transplant is often, in fact, done in conjunction with a kidney transplant. The child who would be considered for a pancreas transplant would be rare, indeed. While no one thinks it a good thing for a child or teen to develop type 1 diabetes, it is not the worst thing in the world, and certainly not a death sentence. It helps to maintain a positive attitude as you guide your child through learning how to adapt to having a chronic disease. If your child sees you can cope, he or she will understand that everyone has challenges, and the main thing is to meet them face on, with bravery. Does your child have type 1 diabetes? How did you feel when you learned your child has type 1 diabetes? Does your child with type 1 diabetes take risks with monitoring blood glucose levels and treatment? How have you coped with this situation?